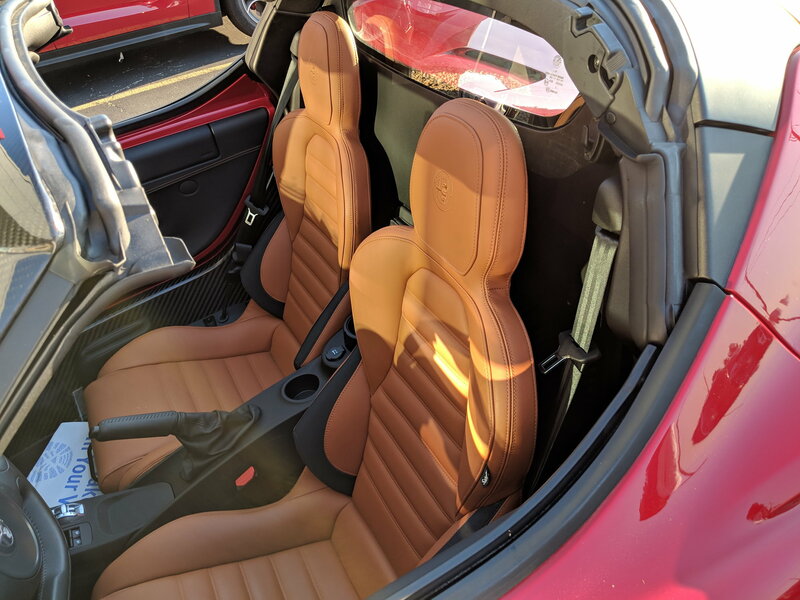 I bought a new Alfa Romeo 4C Spider that will be delivered tomorrow morning. It has the Rosso Competizione tri-color paint which is soft and very difficult to match so I want to protect it properly. I've got a quote for $5,500 for a full wrap including the wide carbon fiber door sills, head lights, etc. He said I can either go with SunTek Ultra or Stek*DYNOshield. The current promo includes either CQuartz Finest or Professional ceramic coating over the top at no extra cost if one does a full PPF wrap. He recommended Stek since it has a ceramic top coat built in and has more shine than any other PPF on the market. My concern is I've seen photos of a Stek PPF failing after less than a year online (two cars). He said that was with an older material. Here's the thing... Stek hasn't been into the US for long. My inclination is to go with SunTek Ultra since SunTek has been around forever and has a proven track record. I've also read mixed comments on whether a ceramic coating should be applied over the top of SunTek Ultra (there's even a question whether the warranty is affected). Both of these PPF's have a 10 year warranty. The installer is good... he routinely details and wraps 6 figure cars and he detailed a car that went to Pebble Beach last year so I'm comfortable with him doing my car. What do you guys think? If applilying a ceramic coating over either of these PPF's isn't advised then maybe I can get him to treat the wheels and interior instead. Hopefully @moemistry will chime in. I'm pretty sure he does XPEL so I fully understand if he's not comfortable commenting. Last edited by jagman; 09-22-2018 at 06:42 PM. My name is Manny Hondroulis and I represent 3M Company. 3M is the original patent holder of PPF and started the industry. So please keep in mind that as I answer your question, I may be a bit biased. If it's between SunTek and Stek, I would suggest SunTek, simply because it's more well known and trusted. There are some installers who like Stek for its clarity but to your point, I don't know about the longevity of the film. SunTek has a very clear PPF and I have a hard time seeing the difference between it and Stek. SunTek is made my Eastman Chemical and Eastman has in-house urethane capabilities which means that they make their film. I don't know the history of Stek. If you're open to another possibility, please consider 3M's Scotchgard Pro Series PPF. It is just as clear as SunTek, warrantied for 10 years by a 116 year old company, made by 3M Company in the USA, and perhaps most important, it has an optional paint warranty whereby if the film fails and the paint is either stained or damaged, 3M will pay up to $3500 to repair the damage and replace the film. As for your question about ceramic coatings, more and more installers are marrying a ceramic coating to PPF. Some ceramic coatings companies have a coating specifically for PPF. So be sure to ask that question of the installer. If you would like to learn more about 3M's PPF, please visit www.ppffilm.com. I can also point you to a local installer that can furnish you a quote too. Thank you Manny. Very informative and useful. I'll look into 3M. This New Alfa Romeo is a stunner!